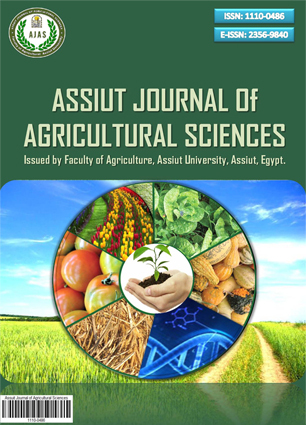 This experiment was conducted to study the importance of assessing the impact of plant rhizosphere during various stages of growth on the soil microbial community represented in (bacteria, fungi, actinomycetes(. Rhizospere is the area extending a few millimeters from the root surface and affect the numbers of micro-organisms in the soil due to biological processes emerging from the roots of plants, it contains many of organic compounds produced from the outputs roots and also contain some of the dead root hairs, which are organic substances and source of carbon and nitrogen in the soil. Tracking the number of three microbial groups during different stages of growth starting from the stage of seedling until maturity with two types of plant root growth )legumes_Poaceae) The results showed that rhizosphere `effect depends on the quality of the plant root and the age of the plant . In the bean and barley plants numbers of bacteria and fungi increased from the early stages of plant growth then began to decline during the maturity stage. But in a much higher degree beans from barley. While numbers of actnomycetes increased during the advanced stages of plant life. Using the of ratio R / S to study the effect of the roots on the numbers of the microbes in the soil, it was found that the rhizosphere has a clear impact on increasing the numbers of soil bacteria particularly ,compared to fungus numbers with plant growth progress in general, The effect was higher in the bean plant then barley. The numbers of bacteria increased in the rhizosphere from what it was in the soil, reaching 100 million in bean and in barley 200 times while fungi were 1000 times in beans and barley 100 times. For actnomycetes were encouraging influence of the rhizosphere during the advanced stages especially maturity stage reaching to 10,000 times in bean plant and in barley to 1000 times,. Statistical analysis showed that there is a significant effect of the interference between the type of plant and of numbers microbes, any type of plant that affect the of numbers microbes throu various stages of growth at a significance levels of 0.05 and as well 0.01. أجریت هذه التجربة لدراسة تأثیر النبات فی المحیط الجذری (Rhizosphere) خلال مراحل نموه المختلفة علی المجتمع المیکروبی للتربة متمثلا فى ( البکتریا _ الفطریات _ الاکتینومایسات) . منطقة المحیط الجذری هی المنطقة الممتدة بالمللیمترات القلیلة من سطح الجذر والتی تتأثر بها أعداد الإحیاء الدقیقة فی التربة بفعل المواد الخارجة من جذور النباتات فهى تحوی العدید من المرکبات العضویة الناتجة من افرازات الجذور وکذلک تحوی علی بعض الشعیرات الجذریة المیتة والتی تعتبر مادة عضویة ومصدر من مصادر الکربون والنتروجین فی التربة . وتم تتبع أعداد ثلاث مجامیع میکروبیة خلال مراحل النمو المختلفة ابتدءا من مرحلة البادرة حتى النضج مع نمو نوعین من جذور النبات (بقولی_نجیلی) وأظهرت النتائج إن تأثیر المحیط الجذری یعتمد علی نوعیة جذر النبات وعمر النبات ، فی نبات الفول والشعیر ازدادت أعداد البکتیریا والفطریات من المراحــل الأولى وبـزیادة نمـو النبـات ثم بـدأت فی الانخفاض خلال مرحلة النضج. بینمــا ازدادت أعداد الاکتینومایسیتات خلال المراحل المتقدمة من عمر النبات. وقد تم استخدام نسبة R/S لدراسة تأثیر الجذور علی أعداد المیکروبات فی التربة ، وجد إن المحیط الجذری له تأثیر واضح علی زیادة أعداد بکتیریا التربة بشکل خاص مقارنة بإعداد الفطریات بتقدم نمو النبات وبشکل عام کان التأثیر أعلى فی نبات الفول عن الشعیر. حیث ازدادت أعداد البکتریا فی المحیط الجذری عن ما کانت علیه فی التربة فوصلت الى 100 ملیون فى نبات الفول وفى الشعیر200 مرة بینما الفطریات کانت 1000مرة فى الفول وفى الشعیر 100 مرة. بالنسبة لأعداد الأکتینومایسیتات فقد ظهر التأثیر المشجع للمحیط الجذری خلال المراحل المتقدمة خاصة مرحلة النضج فوصلت فى نبات الفول الى 10,000مرة وفى الشعیر الى 1000 مرة. تبین من التحلیل الإحصائی بأن هناک تأثیر معنوی للتداخل بین نوع النبات وأعداد المیکروبات ، أی إن نوع النبات یؤثر علی أعداد المیکروبات خلال مراحل نموه المختلفة عند مستوی المعنویة 0,05 وکذلک 0,01 .